The BLUEMED project is a Coordination and Support Action aimed at supporting the implementation of the BLUEMED Initiative by promoting the concrete and operational implementation of the Strategic Research and Innovation Agenda (SRIA) developed in September 2015. The BLUEMED initiative fosters integration of knowledge and efforts to develop the Blue Growth in the Mediterranean basin, promoting joint actions on relevant research and innovation priorities. Its Agenda (SRIA) identifies three major groups of twelve key challenges that need to be addressed, as well as a set of goals and a wide list of actions to achieve those goals. Science-policy initiatives and actions to attain an effective maritime spatial planning in the Mediterranean basin are included in the Agenda. Among the BLUEMED project objectives, the consolidation and updating of the BLUEMED SRIA is included as well as the development of an implementation plan of the Agenda.The first release, dated October 2015, is the result of a consultation process at national level. In April 2017, the updated version was published. The BLUEMED CSA will support the next updates, engaging all Mediterranean stakeholders in the process through the BLUEMED Platforms. Cooperation and coordination in all the Mediterranean countries is encouraged, also favouring the implementation of new transnational joint activities. 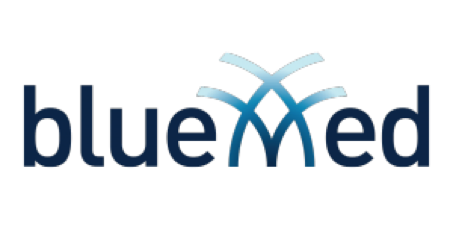 The project also supports the consolidation of the role of the BLUEMED Initiative as a key policy reference for all actors of Blue Growth, contributes to the implementation of national and international policies and promotes the extension of the Initiative to other EU countries and non-EU Mediterranean countries. 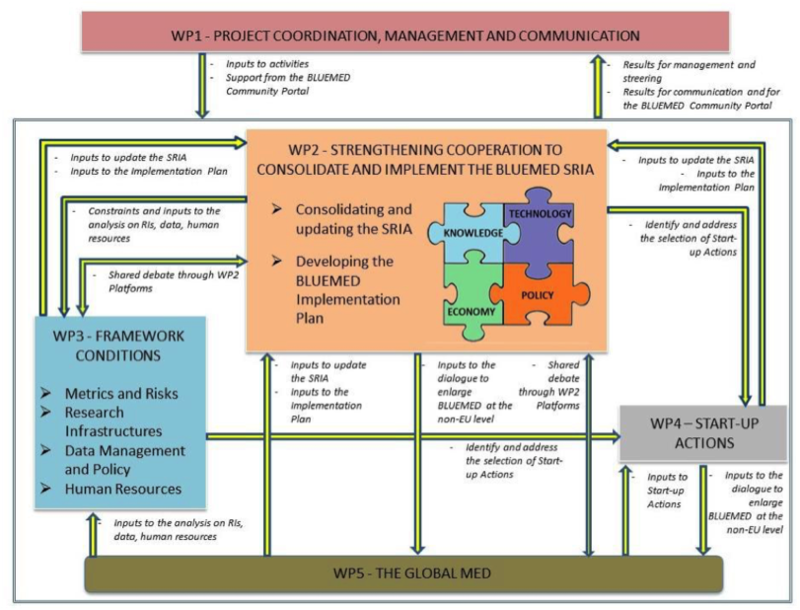 Within the project four thematic transnational interconnected Platforms at Mediterranean level have been set-up: (i) Knowledge of Mediterranean sea dynamics and ecosystems, (ii) Economic sectors of Blue Growth economy in the Mediterranean, (iii) Enabling technologies for Blue Growth in the Mediterranean, (iv) Science to policy for Blue Growth. These platforms are operative environments aimed to ensure constant dialogue and consultation with concerned national stakeholders to reach the objective of the BLUEMED initiative, the finalization of the BLUEMED SRIA and a dynamic implementation plan.